Media: Liquid and gas with low content of suspended solids. Pressure Rating: Up to 3750 psi (25Mpa) pressure rating. Temperature Rating: Up to 85C with standard seals. Chlorides: The valves are made from stainless steel and can withstand a low level of chlorides. Monthly cleaning of orifices & solenoids. 6 monthly body cleaning and replacement of seals. 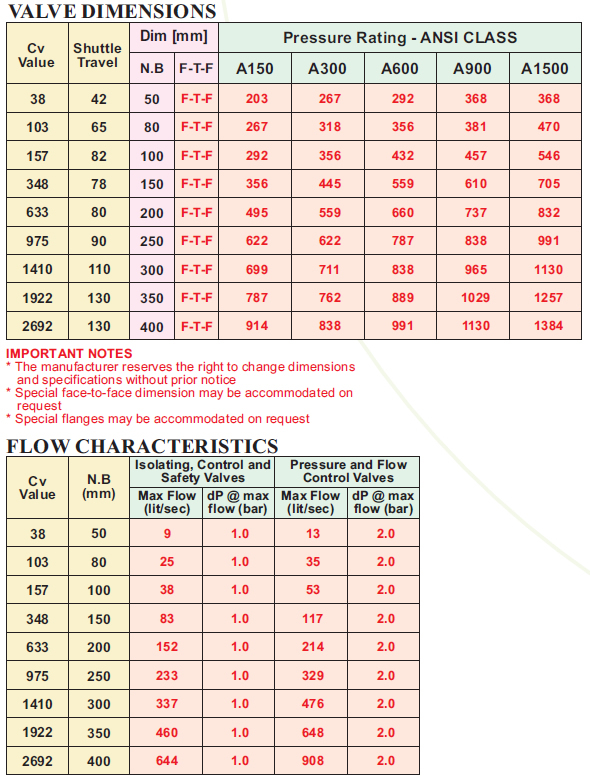 Seat Leakage – B16.104 class III, IV, V or VI, depends on valve type and application.